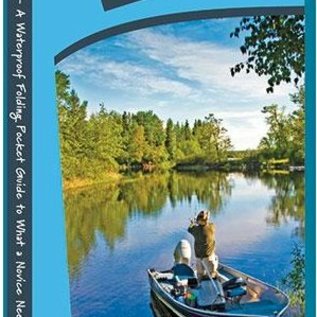 Providing essential guidance for a myriad of circumstances and skill levels, this virtually indestructible series of pocket guides includes tips and tricks for exploring the outdoors as well as preparing for natural disasters. From studying wildlife and diverse environments to sound advice for hunting and boating enthusiasts, this collection is ideal for the everyday adventurer. Unlike bulky guidebooks, these waterproof, travel-size companions are perfect for navigating the wilderness, built to endure day hikes, fishing expeditions, and camping trips for years to come. 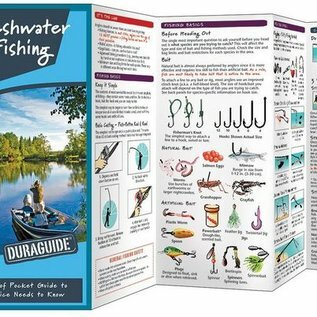 An essential addition to any tackle box, this in-depth guide covers the topics every novice angler needs to know. 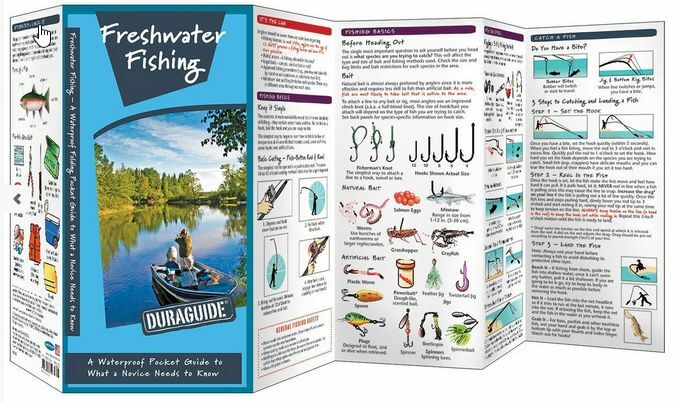 From basic fishing etiquette to information on the legal aspects of the sport, this indispensable reference also provides tips on when and where to fish, brief descriptions of the 14 most common fish, and instructions for preparing the catch of the day. Folding Pocket Guide, 8.25" x 3.69"